Seven heart–healthy behaviors can reduce the risk of death from cardiovascular disease. In a prospective study, by Enrique Artero, PhD, of the University of South Carolina, and colleagues and published in the October issue of the Mayo Clinic Proceedings, those who met 3–4 of the American Heart Association’s ‘Simple Seven’ heart–health criteria had a 55% lower risk of cardiovascular mortality than those who met no more than two of those practices over 11 years. A report published online July 10 in the Journal of the American Medical Association has stated that among the wide–ranging comorbidities associated with diabetes, mental–health issues are among the most overlooked, despite the possibility that these issues can compromise self–management and increase the risk for serious complications. An article published online July 16 in Science Translational Medicine has pointed that the urine and placentas of women who develop preeclampsia (PE) contain aggregates of misfolded proteins. The new findings suggest that PE shares pathophysiological features with diseases like Alzheimer’s that are characterized by protein misfolding. An experimental drug, AMG 416, to reduce excess parathyroid hormone levels in patients with chronic kidney disease succeeded in meeting the primary and secondary goals of a phase III study, reported Amgen Inc recently. More than 75% of patients who received the drug had a >30% reduction in their parathyroid hormone levels, compared with 9.6% who experienced a similar reduction among those who received a placebo. A study published online July 16 in the Journal of the National Cancer Institute has stated that survival benefits in women with cancer in one breast, opting to undergo contralateral prophylactic mastectomy (CPM), might be only marginal depending on the type and stage of breast cancer. Increasing the saline and cutting the fluid volume has a significant effect on the rate of complications after pancreatic surgery, suggests a new study published in the Annals of Surgery. Researchers noted that using a hypertonic saline intravenous drip and moderately restricting the total volume of fluid resulted in a 21% reduction in the rate of complications and a 26% reduction in the total number of complications in patients undergoing Whipple surgery for pancreatic cancer. What are the signs of rabies during the prodromal phase in animals? Prodromal phase may last for 1–3 days and the animal may show only vague signs of involvement of the central nervous system, which intensify rapidly and death is virtually certain within 10 days after the initial onset of signs. The National Institute for Health and Care Excellence (NICE) has published its new recommendations for the treatment of patients at risk for cardiovascular disease. The new NICE guidelines recommend that physicians initiate treatment with atorvastatin 20 mg in patients with a 10–year risk of cardiovascular disease that exceeds 10%. Among patients who have acute chest pain but have a negative initial ECG or troponin test, a coronary computed–tomography CT angiography (CCTA) scan that detects high–risk plaque features can successfully identify those at higher risk of impending ACS, suggests a study presented at the Society of Cardiovascular Computed Tomography 2014 Annual Scientific Meeting. Findings of two systematic reviews published online July 17 in the Cochrane Library have suggested that inhaled corticosteroids may suppress growth in the first year of treatment in children with asthma; however, lower doses may minimize the effects. A new study has suggested that children aged 6 to 35 months can safely be given a full dose of seasonal trivalent inactivated influenza vaccine (TIV). The study is published online in the Journal of the Pediatric Infectious Diseases Society. 1. I wish I had the courage to live a life I wanted to live and not what others expected me to live. 2. I wish I had worked harder. 3. I wish I had the courage to express my feelings. 5. I wish I had let myself to be happier. Regrets are always based on suppression of emotions or non–fulfillment of desires and needs. These need–based desires can be at the level of physical body, mind, intellect, ego or the soul. Therefore, regrets can be at any of these levels. I teach my patients that they should practice confession exercise and one confession is to talk about your regrets and take them as challenge and finish before the next Tuesday. When working, there are three things which are to be remembered –passion, profession and fashion. Profession is at the level of mind, ego and spirit. Curb portions: Always order for one if you are two people and if you are alone set aside some of what is on your plate to bring home. Load your plate with colorful choices at the salad bar with vegetables, fruits, and small amounts of lean protein. Skip the creamy and ranch dressings. Choose dishes that are grilled, roasted, steamed, or saut�ed. Don’t be afraid to request a salad, vegetables, or fruit instead of starchy side dishes. In non–vegetarian food, order only fish or seafood. If you decide to have dessert, share it with your dining companion(s). Unfortunately when people think of teenagers, good thoughts are not always the first to come to mind. I know I avoid going into my teenage daughter’s high school at the end of their day because I don’t want to shoved and pushed in the hallways. I feel like I am running the gauntlet sometimes! I know they are just kids in a hurry to get out and blow off steam. Fortunately I also get an opportunity to see teenagers at their best. Watching my daughter and her high school band's camaraderie is always a joy. For instance, when a fellow band member's music folder fell on the pavement everyone ran to help gather the music before it was scattered by the wind. They are a great group of kids. But I witnessed an event yesterday that really warmed my heart. My daughter had a band competition at a nearby high school. Her band was the last one to play and before they could play their last selection, the lights in the auditorium flickered and then went out. The atmosphere in the large, dark space was pensive. The band, sensing this, started singing some of the familiar songs that they sing in the stands during football season. The audience started clapping and singing along. It was quite the experience, sitting in total darkness singing and clapping with dozens of people like it was an everyday occurrence. I was so lucky to be able to experience this firsthand. My daughter is a senior and so this was one of her last concerts in high school. It was a moving inspirational experience I will never forget. One should take seasonal and locally grown natural food and vegetables grown in organic farms, said Padma Shri, Dr. B C Roy National Awardee & DST National Science Communication Awardee, Dr. K K Aggarwal, President Heart Care Foundation of India and Sr National Vice President Indian Medical Association. Eat less, dinner lighter then the lunch, eat natural and in moderation are few of the mantras. Taking food supplements can be harmful. According to the American Heart Association, supplementation with beta carotene and vitamin E, either alone or in combination with each other or other antioxidant vitamins does not prevent heart disease. High dose vitamin E supplementation (400 IU/day) may be associated with an increase in all–cause mortality. Supplementation with vitamin C does not prevent second heart attack. Beta carotene supplementation may be dangerous and should be discouraged. Vitamin E supplementation may be of benefit for only secondary prevention of heart patients with chronic renal failure who are undergoing hemodialysis. The American Heart Association concluded that current data do not justify the use of antioxidant supplements for the prevention or treatment of cardiovascular disease risk. The above recommendations apply to supplementation only. Diets high in natural antioxidants are associated with lower cardiovascular mortality. Situation: A patient with prosthetic heart valves (bioprosthetic) developed infective endocarditis. Reaction: Oh my God! 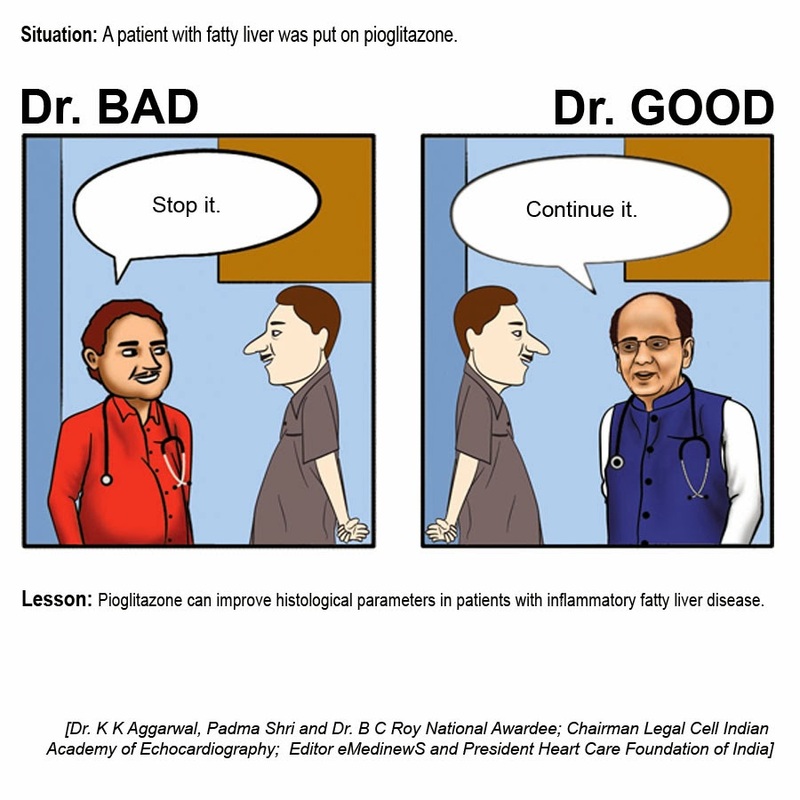 Why was he not given infective endocarditis prophylaxis? The optometrist after examining her eyes for refraction and finding no change in dioptric values observes: Manufacturers of grocery items, rather than increasing the prices, have made the packings smaller; and there�s no need for you to change your eyewear. Follow up care for a leg ulcer is documented with which of the following teledematology tool? Yesterday’s Mind Teaser: Which of the following statement is true regarding the author–based second opinion teledermatology? 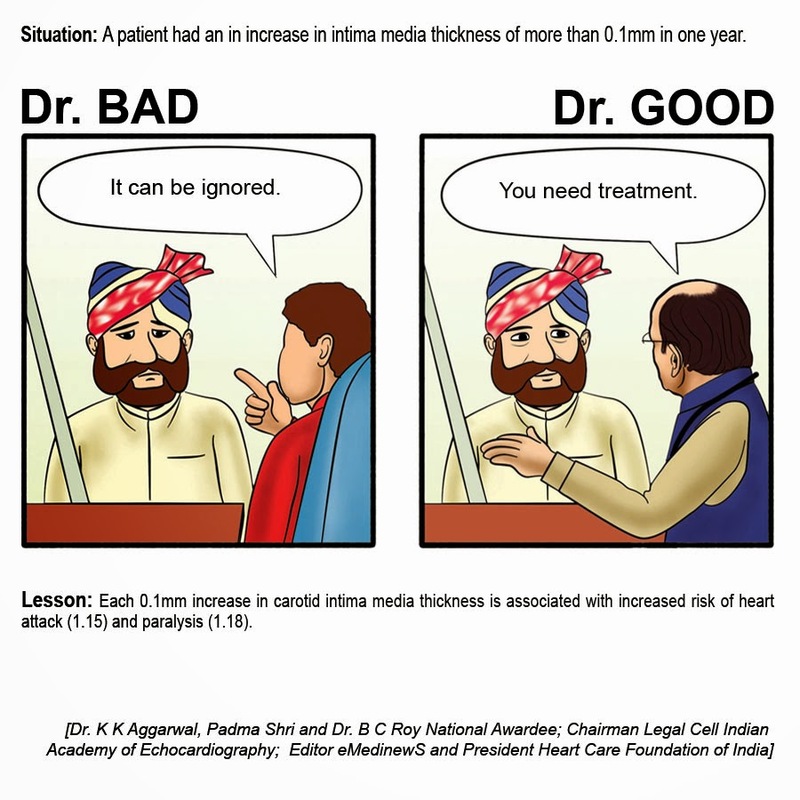 How to Improve Image of Medical Profession? My Lord–I am not guilty.